Who are you going to be for Halloween this year? If you were a youngster in October 1963, you might decide to go as a monster, a witch, Donald Duck, Bugs Bunny, that brand new superhero Spider-Man, or perhaps John or Jackie Kennedy. While not at the top of the Halloween costume list, a fair number of young people did indeed go trick-or-treating as the President and First Lady less than a month before the assassination. 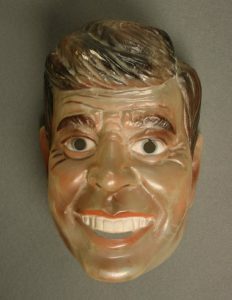 There were different types of John and Jackie Kennedy masks on the market. 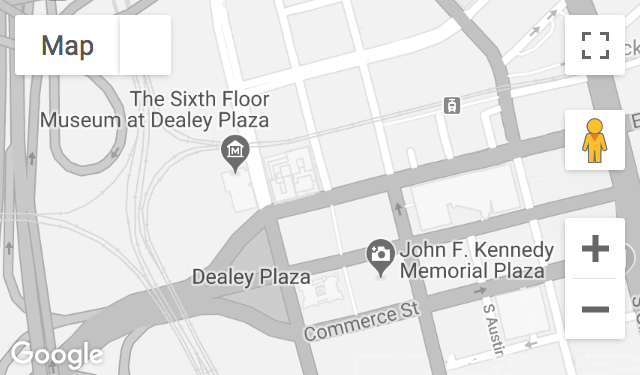 In our collections at The Sixth Floor Museum at Dealey Plaza, for example, we have a semi-translucent John F. Kennedy mask that was meant to blend in with the skin tone of the person wearing the mask—though the effect is deeply unsettling. 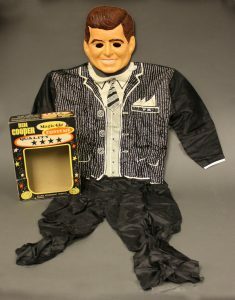 Once designed and manufactured, Ben Cooper costumes would typically be sold year after year. After the assassination, however, thousands of surplus “Mr. President” and “First Lady” masks were destroyed, and the costume was never offered for sale again. 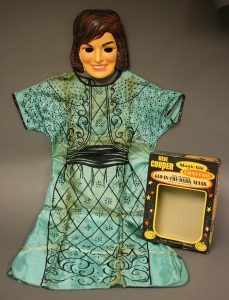 Today they are of great interest to Kennedy collectors and Halloween enthusiasts. Beyond that, they offer a unique glimpse at the movie-star-like popularity of the Kennedys during their brief time in the White House. Explore our online collections database to see other interesting pop-culture artifacts in the Museum’s collection.